Browsing articles tagged with " addictive desert designs"
Transamerican Auto Parts has selected a winner in the inaugural “Life is Better Off-Road™” SEMA vehicle build competition. 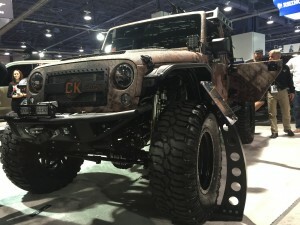 The CC Legend Jeep by Addictive Desert Designs was named as the best presented, truly off-road capable truck, Jeep or SUV on display at the show by a panel of experts in a ceremony hosted at the Pro Comp/Transamerican Auto Parts booth at the annual SEMA automotive aftermarket industry trade show in Las Vegas, Nevada. The winning entry was revealed Thursday, November 5 at the event hosted by NBC Motorsports personality and host of History Channel’s Top Gear USA, Rutledge Wood. The Chris Kyle “The Legend” JK was built for the Chris Kyle Frog Foundation to raise funds to benefit soldiers and EMS personnel with PTSD. The winning JK will be auctioned off next year for the foundation in an effort to continue to support those in need. 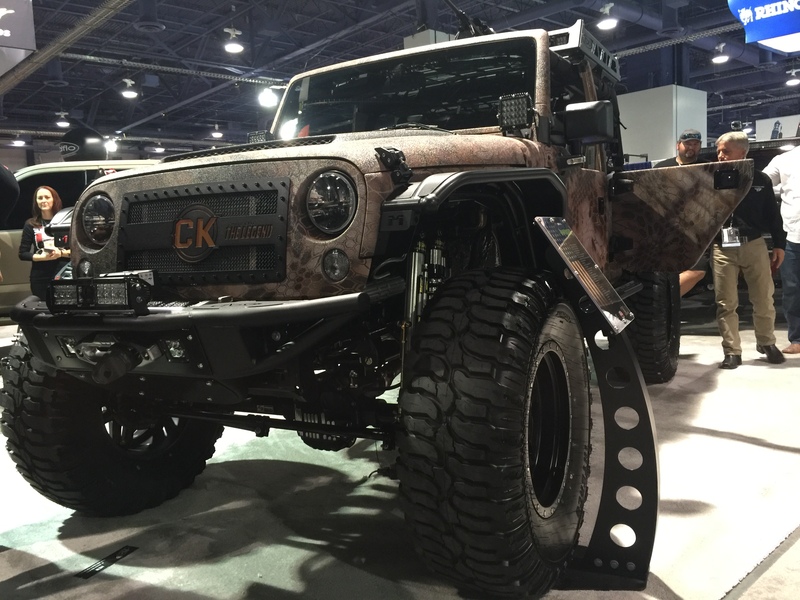 Complete Customs of McKinney, Texas built the Chris Kyle “The Legend” Jeep JK to honor Chris and his beliefs and replica models will be built and offered to the general public starting in 2016. 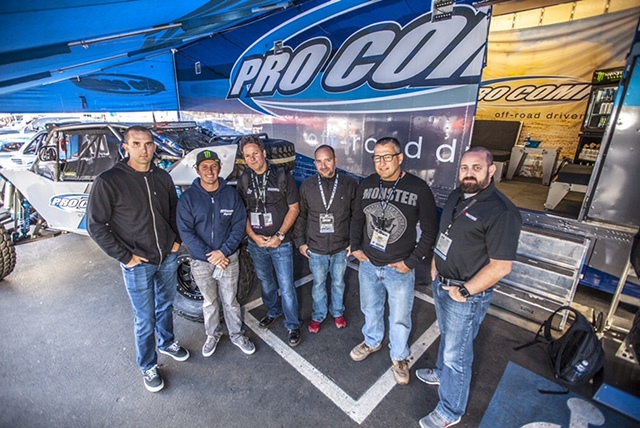 The elite panel of judges featured off-road luminaries including Ultra 4 champion and recent Off-Road Hall of Fame Inductee, Shannon Campbell, action sports pioneer and off-road race champion, Brian Deegan, renowned trophy truck builder Rick Geiser and scion of the well-known Currie Enterprises, Casey Currie. Rounding out the experts were Sean P. Holman, Content Director for the Truck Trend Network and Craig Perronne, Editor and Publisher for 4 Wheel Parts’ Off-Road Adventures magazine. 10 semi-finalists were chosen from submitted entries based on criteria like off-road reliability and capability, real-world functionality, quality of craftsmanship and overall vehicle presentation. From those contenders, one truck/SUV and one Jeep were selected as finalists competing to be awarded as the most authentic off-road-capable vehicle at the 2015 SEMA Show. The CC Legend will receive a cover feature and multi-page vehicle spotlight in ORA Magazine and a professional photo shoot. Additionally, the Addictive Desert Designs vehicle will be recognized across the spectrum of Transamerican social media and digital channels, including a promotional email campaign, an invitation to be displayed in feature locations at TAP-sponsored events, tradeshows, Truck & Jeep Fests, along with the benefits of extensive partner media coverage of the award. The semi-finalists will also be included in the full media campaign and receive ribbons in recognition of their accomplishment.